Wes Goldsmith and Jesse Purcell of the Hardin County Chamber and Business Alliance hold copies of the new visitors guide developed by the Alliance’s tourism division. The booklets were presented to the public at the Alliance’s booth at the Hardin County Fair on Tuesday and they feature attractions, recreation, antique and hidden gems, places to shop, places to stay and eat and key events throughout the county. 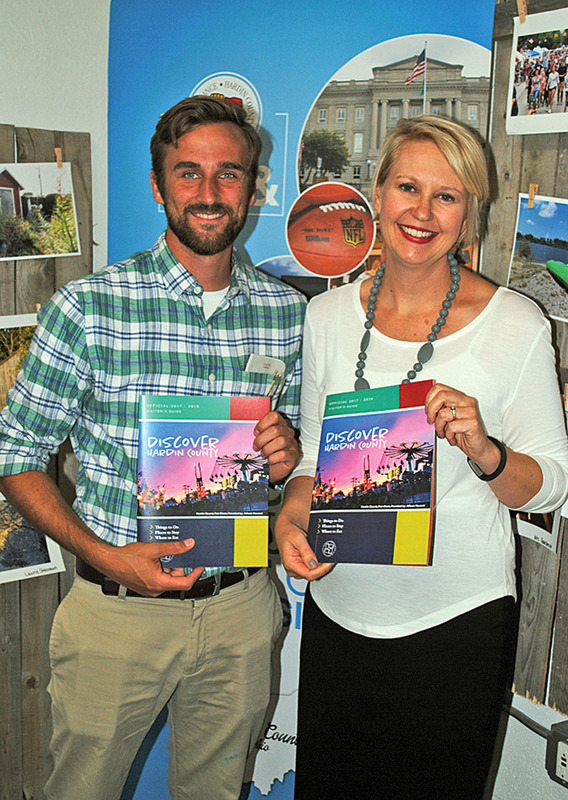 The guides are available at the fair booth or at the Alliance office in Kenton.